Students who are planning to be a part of India’s one of the top university then, we have brought an opportunity for you from the National Captial. Yes, here we are talking about Delhi University. DU has opened up its admission schedule for new academic session i.e. 2018-19. Therefore, candidates get ready to fill your application form for the particular undergraduate course of your choice, as the university will go to open its portal for admission from Tuesday, i.e. 15 May 2018. Admissions to postgraduate programmes either in degree or diploma, it will start from 18 May 2018. While for the doctoral course will begin from 20 May 2018. This time university has also planned for open days from 21 May to 29 May, which will help the students and parents to understand the process of online application as well as the courses options. However, during the open days, a crowd of students can be seen who all are willing to take the admission and also wanted to clear all their doubts regarding the courses and the process of admission. However, the open days will be conducted in two phases i.e. 10:00 am to 11:30 am and 12:00 pm to 1:30 pm. Previously, the online application process likely to start earlier, but it was delayed by the officials because they wanted to make the online portal glitch free, said sources. 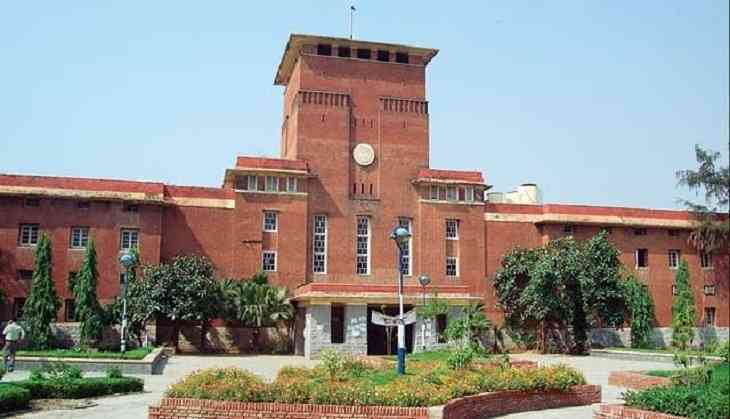 According to the officials of Delhi University, the admission process likely to be held in a large phase just like the previous year.